Description: Shield-shaped badge in the colours of the United States of America. 13 red and white vertical stripes, upper part in blue features the Olympic rings instead of stars. Beneath the shield a white band with the text in blue: HELSINKI 1952. 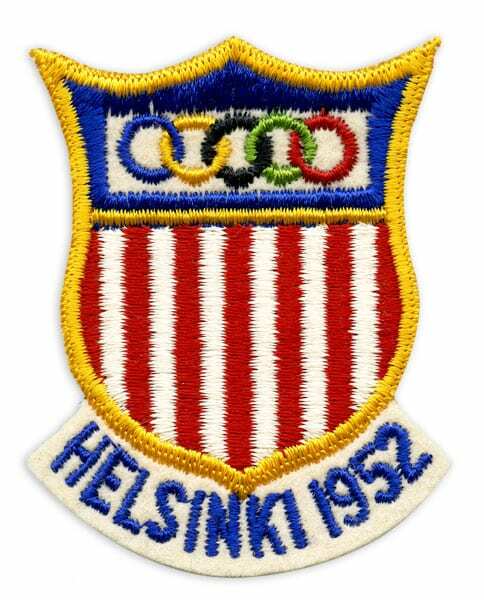 Other information: Badge of the United States Olympic team.